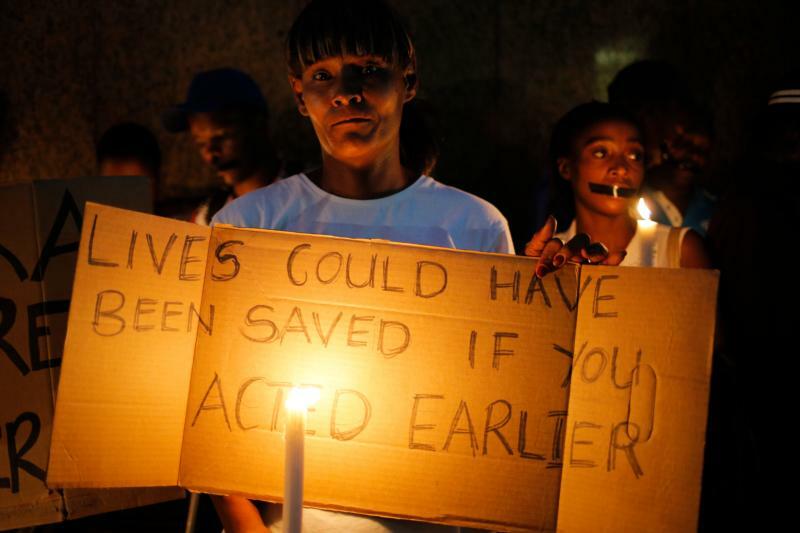 CAPE TOWN, South Africa (CNS) — South Africa’s Jesuit Institute said it is appalled at government actions that led to the deaths of 94 mentally ill patients in Gauteng province, and the bishops’ justice and peace commission called for compensation to affected families. Deaths caused by dehydration, septic bed sores and uncontrolled seizures followed the transfer of more than 1,300 patients from a hospital to unlicensed nongovernmental organizations, said a Feb. 1 report by South Africa’s health ombudsman, Malegapuru Makgoba. The report’s findings show “a shocking failure to provide fundamental psychiatric health care” as required by South African law, the Johannesburg-based Jesuit Institute said in a Feb. 2 statement. “It is particularly disturbing to see how vulnerable people . . . have been subjected to what is, in effect, a cynical, and almost certainly profit-motivated, curtailment of basic care,” it said. The ombudsman found that the centers that housed patients failed to provide seriously ill people with enough food and water, leaving them severely malnourished and, in some cases, dying from dehydration. Remedial action must include holding to account those responsible “for this gross violation of human rights” and “suitable reparations according to the gravity of the damage,” the Jesuits said. The provincial government should ensure that families who lost loved ones are “expeditiously compensated,” the Southern African Catholic Bishops’ Conference justice and peace commission said in a Feb. 3 statement. The transfer of the patients in 2016 was rapid and chaotic, and the 27 “mysteriously and poorly selected” organizations transported people from Life Esidimeni hospital in open pickup trucks after choosing them as if they were at “an auction cattle market,” the ombudsman’s report said. Gauteng’s provincial health department terminated its long-standing contract with the hospital in an apparent cost-cutting measure. “Those in public service, whether they directly participated or were complicit in what has happened, should not be allowed near vulnerable people, especially mental health patients, in future,” the Jesuits said. Also, “the state should institute a comprehensive review of its practices” to ensure that this “never happens again,” the institute’s statement said. The justice and peace commission urged the province’s health department to stop the “de-institutionalization of mental health care” until strong measures are in place to guarantee the protection of human rights while community-based care is implemented. “Protecting the lives of the psychiatric patients, as one of the most vulnerable groups in our society, is more important than achieving budget efficiency,” the commission said.